My number one, favorite sidekick of all times comes from the TV show/movie/book franchise: Star Trek. The TV show came long before the movies or the books and it not only got me hooked on science fiction, it introduced me to real, live aliens. I immediately fell in love. 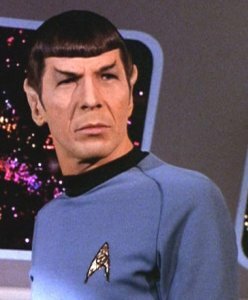 As a teenager, I had a secret crush on Spock, the Vulcan. What was it about that pointy-eared alien that made him so memorable? I mean, he and the other Vulcans always got supporting roles, right? In the first season of Star Trek, almost every woman alive was in love with Captain Kirk, played by a young and studly William Shatner. In nearly every episode, the writers found a way to get Kirk’s shirt off and then toss him in the arms of some mini-skirted, model-perfect female—who, of course, was powerless against his male testosterone. Meanwhile, in the corner of the scene, a lean, smoldering alien would arch a brow, arms crossed. Spock. King of the one-named, superstar, unforgettable aliens. First of his kind and expertly played by Leonard Nimoy, Spock almost instantly became an iconic figure. Captain Kirk fit a mold, used and reused in action-adventure movies for decades. He was the gold standard of the day, James Bond in Space, charming, womanizing, invincible. But, Spock was another story. He was a brand new creature, an alien who seemed without emotion, but wait—when you scratched the surface you found out that he actually felt emotions even stronger than we did. In fact, in his history, Vulcans almost killed their entire race with their violent behavior before they got their emotions under control. Yeah. They got emotions under control all right. Until they’d suddenly EXPLODE like dynamite and lightning. Suddenly you’d be face-to-face with a creature who looked human, but was actually much stronger than any human, someone who could fell an enemy with a single pinch to the neck. However, a mad Vulcan rarely stopped there. Once he or she started fighting, look out! And what about when a Vulcan accidentally fell in love? Oh, baby, that was smoking hot. 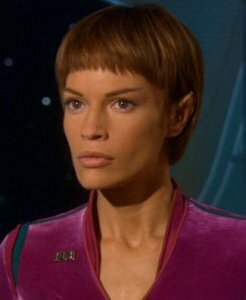 Anybody here follow the romance between T’Pol and Trip on Voyager? I’m surprised my TV screen didn’t melt from the heat. Poor Trip was so enamored of the gorgeous T’Pol and she tried really hard to pretend like she didn’t care. But in the end, she couldn’t ignore those feelings. Smoke. And flame. And everything combustible. Do I love creatures from other worlds? I do. I really do. In fact, I like them so much that the main character—Ash—in my new release, FEAST: HARVEST OF DREAMS, is from another world. I’m giving away a copy of FEAST and I’d really like to hear what aliens you’ve liked. You could have loved them (how about the main character in I Am Number Four) or hated them (like that monster in Aliens). Just let me know which one is your favorite. But Maddie doesn't remember the dark parts—and knows nothing of the mountain legend that holds the area's terrified residents captive. She has no recollection of Ash, the strange and magnificent creature who once saved her life as a child, even though it is the destiny of his kind to prey upon humanity. And soon it will be the harvest . . . the time to feast. Once again Maddie's dreams—and her soul—are in grave danger. But magic runs deep during harvest. Even a spinner of enchanted tales has wondrous powers of her own . . . I like the Fuzzies from H. Beam Piper's books. Cool answer! Thanks for posting! Thanks so much for letting me be part of your BOTS and giving me the opportunity to share my Trekkie love! I like the aliens in the movies Galaxy Quest and Starman. For books, well I liked Lara Adrian's aliens. Aliens I enjoy disliking would definitely be from the movies Aliens and Independence Day. I am on the fence about Predators. They are kind of ugly and usually are attacking people but in the Aliens Versus Predator movie 1, the predator turned out to be a good guy. Enemy of my enemy and all that sort of thing. I loved ET, he was so cute and kind. 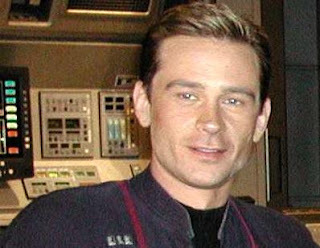 I loved all the many aliens in the Star Trek franchises, I enjoyed all of the different shows. I especially liked Worf, the Klingon. The aliens I'm not liking right now are the aliens in Falling Skies, those Skitters and the new stretched out aliens are just creepy and evil. I loved the aliens in Batteries Not Included. Sorry I am such a geek I could go on and on. My favorite alien will always be The Doctor from Doctor Who baby. Well Hunter from the Midnight Breeds series will give him a run run for his money! I will have to admit that I am with Merrie on this one and will show my usually reserved "Trekkie" side. I have always thought the Vulcan were bad-a's. Who doesn't want a man that hardly ever ages and can win fights with two fingers. I loke Lara Adrian's Midnight Breed aliens and I loved the I am Number Four movie.